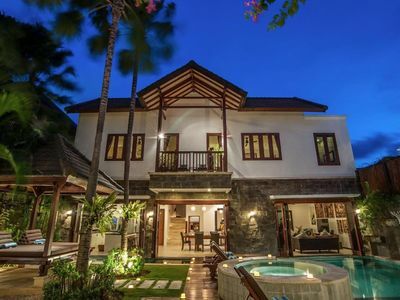 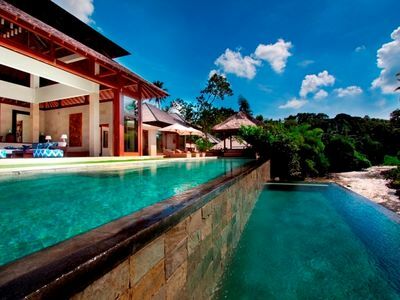 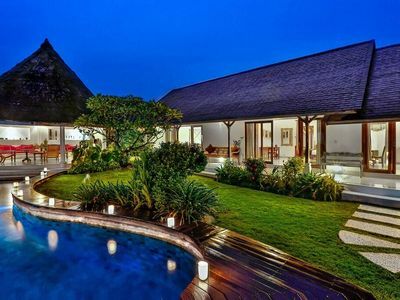 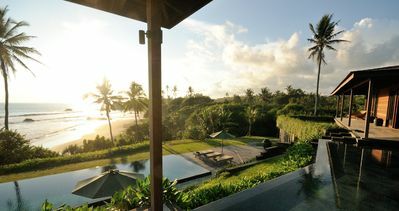 Villa Beranda is designed to experience the authentic Balinese atmosphere. 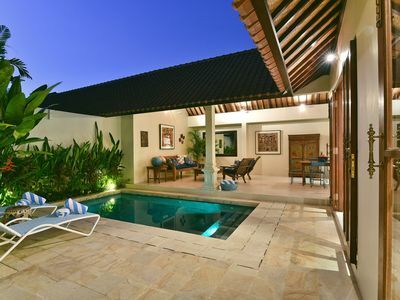 Due to the open structure of the villa and the large veranda on the first floor you will enjoy the special atmosphere of Balinese outdoor living. 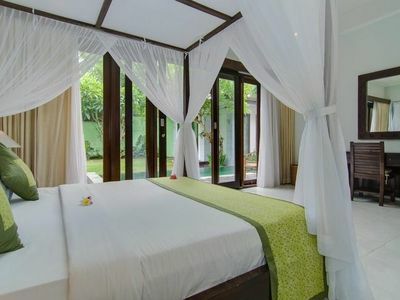 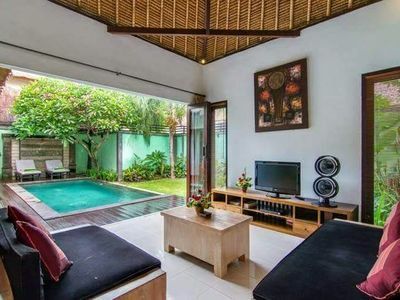 The villa is surrounded by rice fields and situated just 75 meters from the beach. 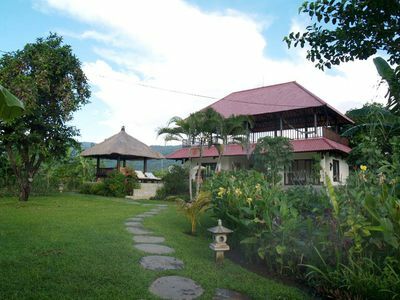 The veranda on the first floor offers a fantastic view of the area which consists of rice fields, vineyards and the mountains in the background around the Bratan and Buyan lake. 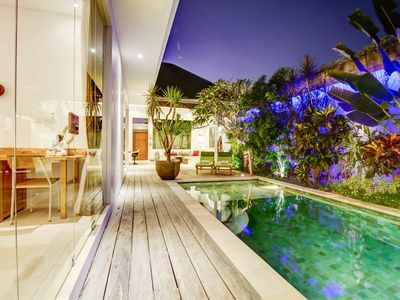 It is located on a private estate with with a beautiful garden of 1500m². 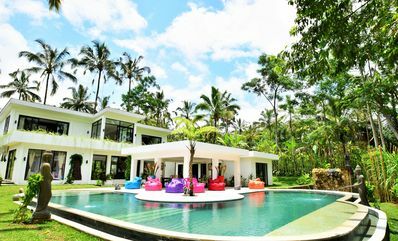 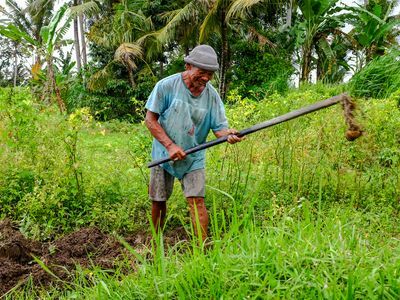 One part of the garden (1000m²) is landscaped with tropical trees and flowering plants and the other part (500m²) is been used for growing fruit and vegetable plants. 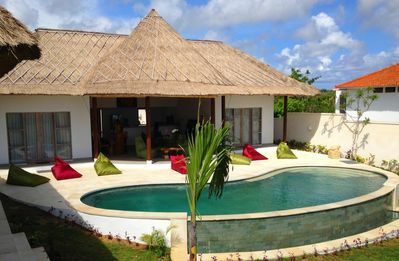 The villa has a spacious terrace with a beautifully shaped swimming pool with separate children's section. 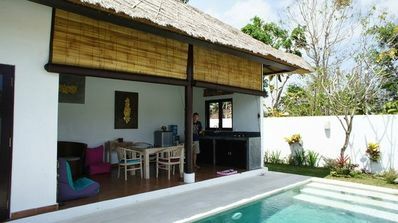 On the terrace you will find a nice sitting area, lounge chairs for sun bathing and a very nice Bale Benong next to the pool. 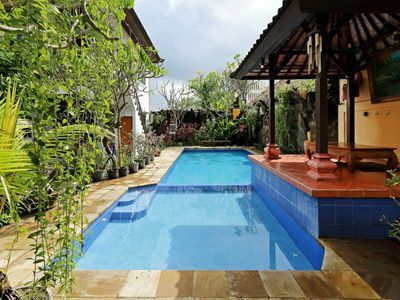 Private pool 8*18 m. Promo price!